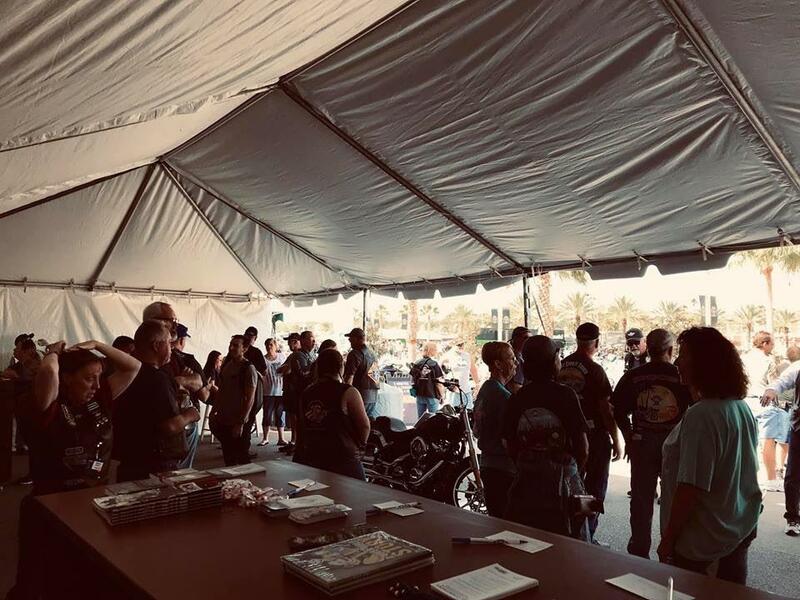 The 78thannual Daytona Bike Week took place March 8-17, 2019 in Daytona Beach. Touted as the world’s largest motorcycle event, about 300,000 bikers gathered for a week of concerts, street festivals, parades and more. And all week, Christians with various ministries were out witnessing to the biker tribe, seeing lives changed as the gospel was shared. 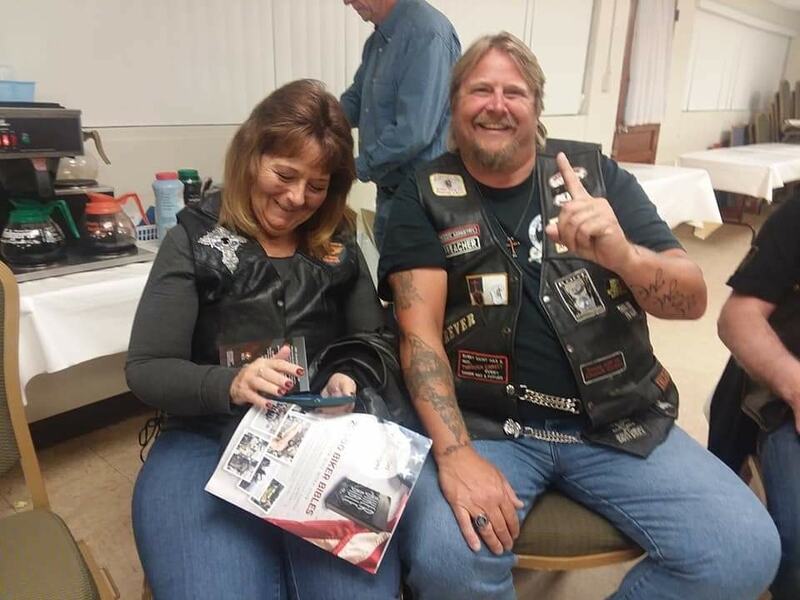 Daytona Biker Church and Faith Riders Motorcycle Ministry were two groups on hand to witness and serve. Many of their volunteers experienced the joy of sharing their faith for the very first time. Faith Riders in their tent at the Speedway ready to share! The Harley-Davidson that was given away is in center of photo. Daytona Biker Church members preparing to share and pray on Main Street, Daytona Beach. 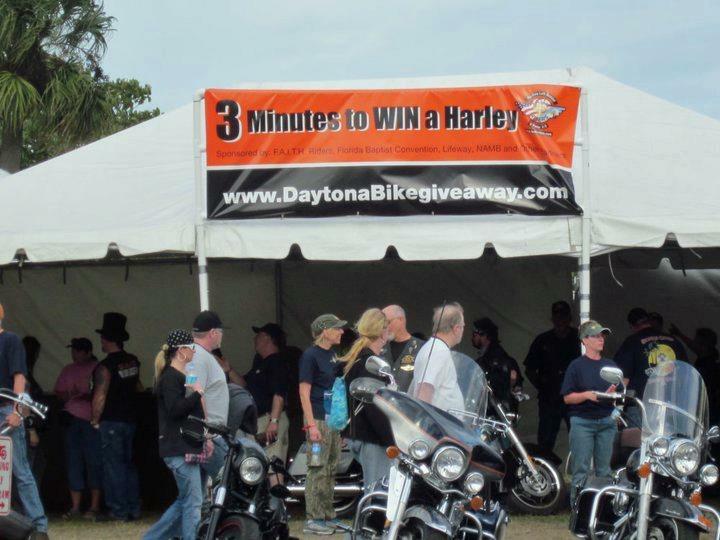 Faith Riders “Daytona Bike Giveaway” tent at Daytona International Speedway. 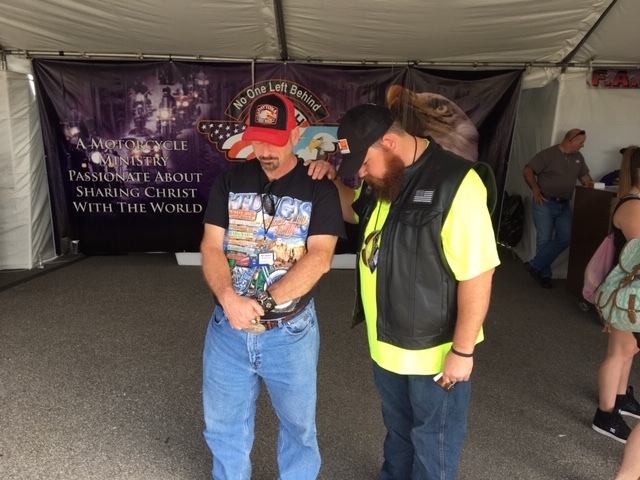 Daytona Bike Week 2019 is now history, but the joy of Jesus Christ remains in each willing heart – the joy of those who received salvation and the joy of those who shared. Barbara, a member at Eau Gallie First BC, Melbourne, and a graduate of Florida State University, B.S., Speech Pathology/Audiology, taught Pre-K/VPK for many years. While living and serving in Maine, she wrote articles for the NEW ENGLAND BAPTIST, and currently writes for the Brevard Baptist Association’s newsletter, THE BRIDGE. 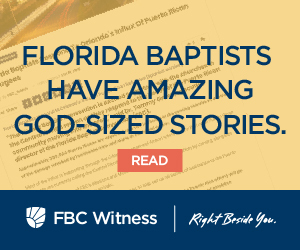 She loves serving alongside her husband Mike (Associational Mission Strategist, Brevard Baptist Association), spending time with their three grandchildren, sewing and reading.